Abdul Kadir was a Guyanese politician and former parliamentarian. 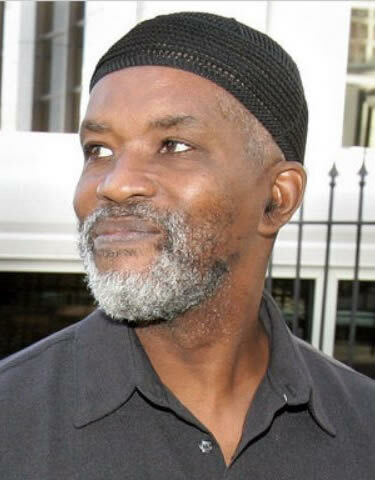 Born Michael Seaforth in Buxton, Guyana, the son of Victor Seaforth, Kadir converted to Islam in 1974 and changed his name. Kadir served in the Guyana National Assembly from 2001 to 2006 as a Councillor for Region 10 (Upper Demerara-Berbice) for the People’s National Congress (PNC) . He was also a former Mayor of Linden. Kadir, a chemical engineer by training, was convicted for the 2007 John F Kennedy International Airport attack which was said to be an extremist terrorist plot to blow up a system of jet fuel supply tanks and pipelines that feed fuel to John F Kennedy International Airport (JFK) in Queens, New York. These pipelines travel throughout the undergrounds of New York City in densely populated areas. However, the alleged plot was foiled when an undercover law enforcement official was recruited to the homegrown terrorist cell. The main suspects in the terror plot were identified as Russell Defreitas, a Guyanese born naturialised United States citizen, and native of Guyana, who was suspected to be the alleged ringleader and was employed at the airport. Kadir was also found guilty along with Kareem Ibrahim, a citizen of Trinidad and Tobago and Abdel Nur, another Guyanese and uncle of late former world welterweight boxing champion Andrew “Six Heads” Lewis. Kadir was sentenced to life imprisonment. Kadir was married to wife Isha, both Shia Muslims, and was the father of nine children and 18 grandchildren. Kadir died in prison in the United States on 28 June 2018, aged 66. It was disclosed that the former MP was ill for some time and relatives had been informed of his condition. Reports are that he was rushed to a medical facility where he succumbed to his aliments. On 12 July 2018, his body was interred at the Christianburg Cemetery, Guyana following Janaza at the Mackenzie Sports Club Ground. Kadir was accorded full Muslim rites.